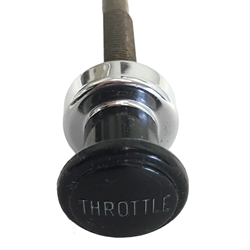 Throttle Cable with ratcheting with black knob. These can be used on early CJ's and other applications where a locking throttle is required. NOS limited QTY.